We provide the Professional service for your business in China. Documents prepare, Declaring Shipping etc. you do business in any other place in China. We appreciate a Business chance with you. 1. Advising you the best time for your business trip to China. 2. Sourcing the suppliers and arrange the meetings for you before you come to China. 3. Booking the hotel for you with the best discount in whole China. 4. Picking you up from the Guangzhou Airport or Railway Station.You pay for the car fare. 1. Guiding you to visit the right product markets or factories. Packing details and so on.In the meantime we take the photos of all the items you have ordered. 4. Providing the Sales Confirmation for your reference. 1. Placing orders to all the suppliers. 2. Following the orders to make sure the goods will be finished according to your expected time. Keep you informed by email about the progress simultaneously. 3. Inspect the goods to make sure the goods are according to your requirement. 4. Distributing the payment to all the suppliers. 5. According to your request, book the container and arrange the shipment. 6. Preparing the export concerned documents and customs declaration. documents as your request to help you to do the Customs clearance in the destination. quote the price to you. 2. Sending you the latest, new arrivals and related products information. others as your request. And then send you back a inspection report. How much is our service charge? Please contact us for more details about the business cooperation. 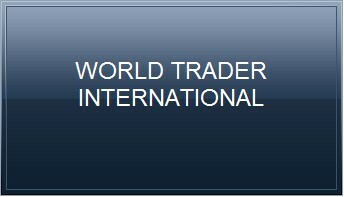 Content copyright 2009-2010.China World Trader International® Limited. All rights reserved.